Thoughtful Design for Creative Couples. At Union Press & Paper, our tagline says it all: Thoughtful Design for Creative Couples. Your wedding invitation is the very first impression guests will have of your special day, and we strive to create the best possible designs to reflect our clients’ tastes. We offer letterpress as well as flat printing in an effort to ensure that all materials—from the save the date to the favor tags—enhance and compliment your union. As a division of commercial printer Shed Letterpress, we have access to a wide variety of customization resources to make sure that your invitation is like no other. The unique individuality of a true craft. At Union Press & Paper, your letterpress invitations are truly a work of art. All of our inks are mixed by hand, our papers are cut by hand, and each piece of your suite is fed, by hand, into a midcentury letterpress. And this is only the beginning! Extra touches, available with all of our suites, include diecut custom envelope liners, edge painting, and corner rounding, all done by hand in our studio. Treat yourself to the tactile beauty of letterpress printing. A true feast for the senses, letterpress printing is a centuries-old process originally invented around 1440 AD by Johannes Gutenberg wherein blocks or plates of raised type are inked and then pressed deep into a sheet of paper, giving words and images an elegant, unmistakable texture. 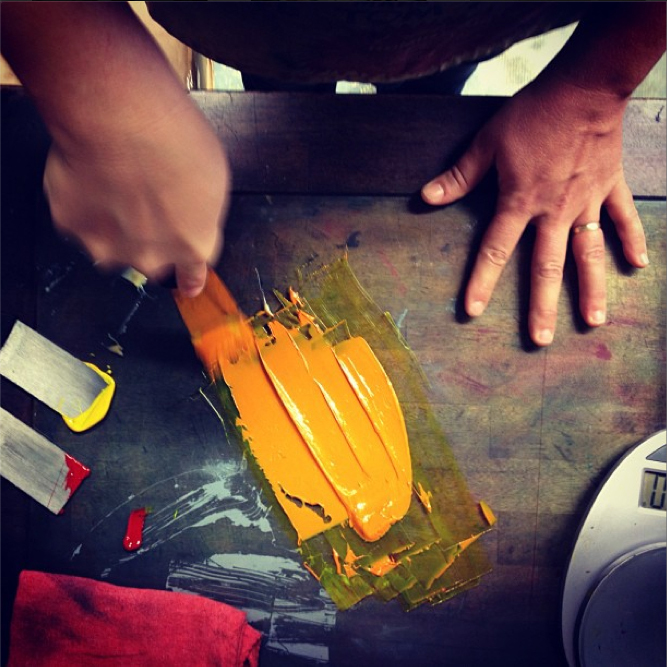 Here at Union Press & Paper, we count the craft of letterpress among our first loves. All of our designs are created with the tactile nature of letterpress printing in mind, and our papers are selected with care to reflect the most crisp and luxurious impression.